Miso soup is a traditional Japanese soup often made with bonito (fish) flakes. This is the vegan version and a wonderful base for many soups. Keep in mind that miso is extremely salty – a little goes a long way. Boil water in a medium size sauce pan. 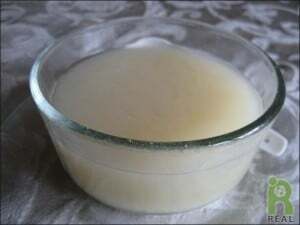 In a a small bowl, mix miso paste with water until creamy. Stir into soup and serve. Do not boil the soup once the miso is added. Miso is an aged fermented food with digestive enzymes and friendly bacteria that high heat can destroy. You can be creative and add ingredients. Miso is traditionally made with scallions, soft tofu and kombu (kelp). I like to add 1 cup of frozen peas, or 1/4 cup of dried mushrooms.